It’s no surprise that kids can be a bit messy. 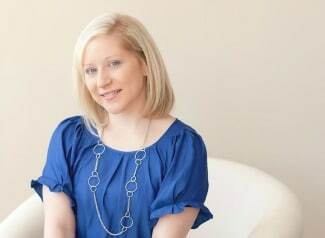 Check out 3 Mom Hacks That Make Life Easier. There are two particular times when my son makes an absolute mess of my floors: eating and painting! 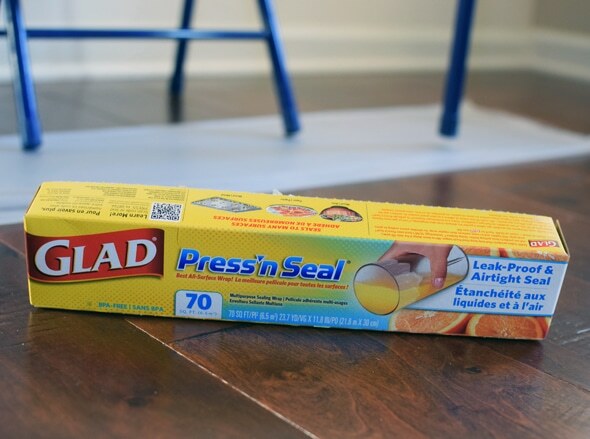 On a recent shopping trip to Walmart, I picked up Glad Press ‘n Seal for a little experiment that would make my life a whole lot easier. My son likes to eat at his little table but he gets more on the floor than in his mouth! 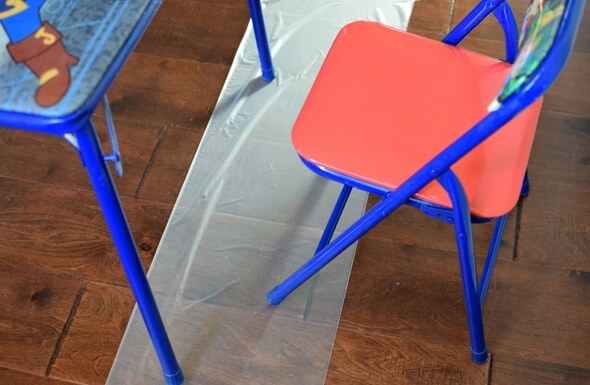 The first idea I had was to place Glad Press ‘n Seal on the floor under his chair. It’s perfect because it catches all of the food he drops on the floor. When he’s done eating, I just roll it up and throw it away. The mess is cleaned up quickly! 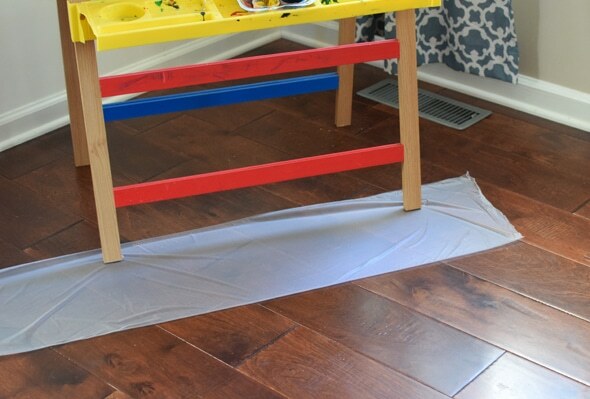 Now I don’t have to pick up food off the floor which makes my hard wood floors a mess. I can save time now because I won’t have to be constantly cleaning the floors. The table also becomes a mess when my son is eating, so I placed the Glad Press ‘n Seal on the table and used it as a place mat. Once again, after my son is done eating, I just roll it up and throw it away. 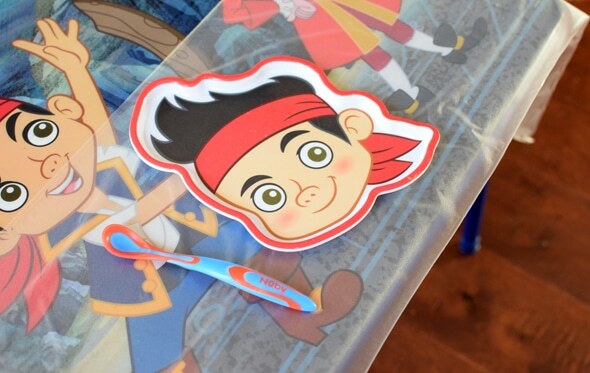 It saves me time because I don’t have to be constantly cleaning the table each time he has a snack or meal. 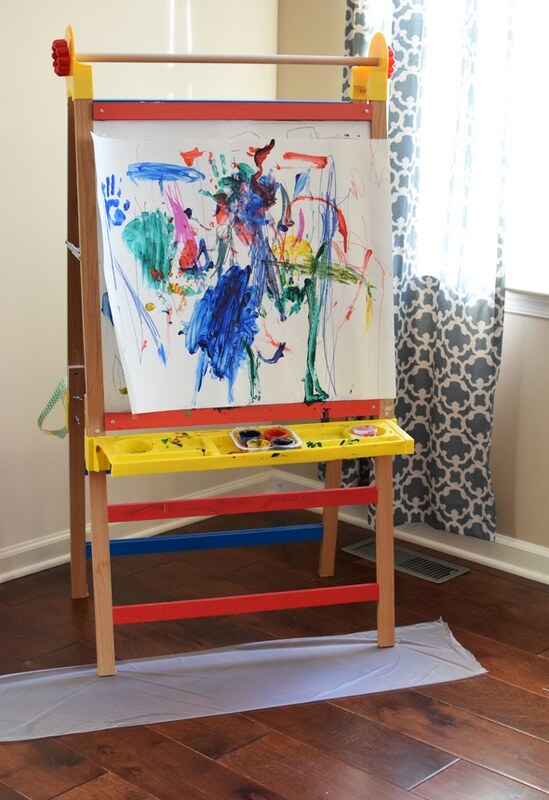 My son loves to finger paint on his art easel. This always makes me a little nervous because I like my home to be neat and tidy. 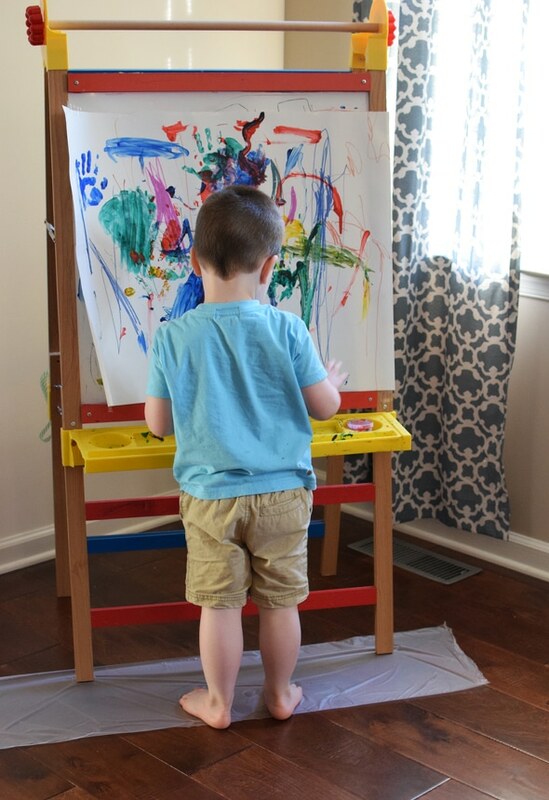 There are many times I’ve found paint all over my hard wood floors, on the walls, and all over my son! Glad Press ‘n Seal comes to my rescue once again. Just like a place mat when he’s eating, I decided it would be a great idea to put it under the floor where he paints. 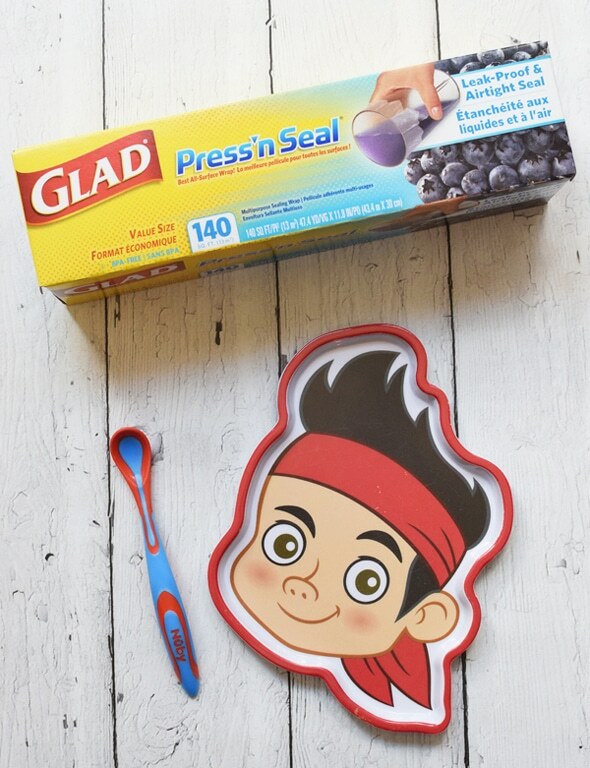 All of the mess ends up on the Glad Press ‘n Seal, which means easy clean up for Mom! 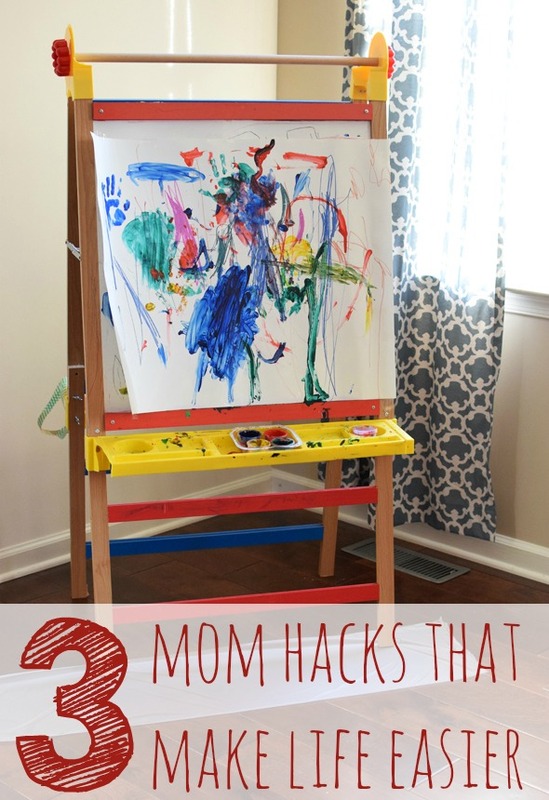 Do you have a Mom Hack with Glad Press ‘n Seal that you would like to share with us? Let us know in the comments below. Let’s all help each other out and make life a little easier because we all know being a Mom is one of the hardest jobs out there! Follow Glad Press ‘n Seal on their Website, Facebook, Twitter, Pinterest, and Instagram. Such great ideas! I never would have thought to put it on the floor but it sure would save me a lot of sweeping and mopping!! YEA! Great ideas made possible by the cling! !